Did you know that most VPNs are unsafe in comparison to the safest VPNs? 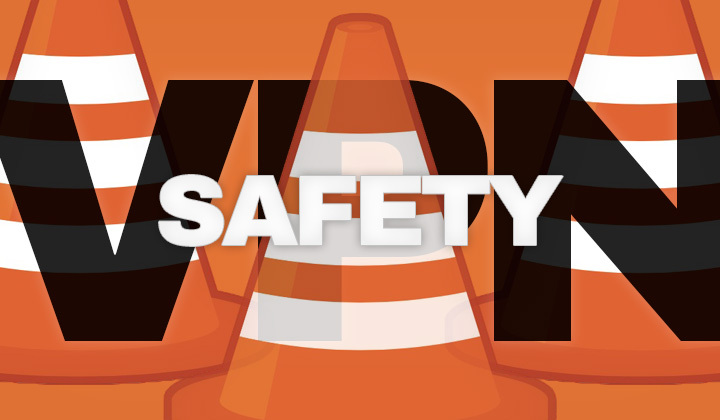 In this post, I’ll explain what constitutes a safe VPN service provider, with examples. Here’s my honest review of the safest VPN in April of 2019. To get the idea, let’s compare NordVPN, a newer rising star amongst VPN services, with some of the major VPN providers to understand what’s at stake. These are the FOUR most commonly flawed features on other VPNs. It’s of paramount importance, where the business is located and under what law jurisdiction the VPN is under, and which courts it abides to. NordVPN resides in Panama where there is no laws to keep, track or release user data. For example, HideMyAss VPN is under US jurisdiction and any disputes are settled in Californian courts. In effect this means that storing user data is not only compulsory, but they may be obliged to give out this data to authorities on request. Without logs, there is no way to release user data even if forced to. However, a real no logging policy, is difficult for both legal & technical reasons. However, NordVPN has managed to maintain a strict 100% no logging policy. Most VPNs use military grade encryption methods with 256 bit-keys. But VPNs that take safety seriously, such as NordVPN, do a lot more. Double VPN; Although slower, ability to connect through two VPN servers to make your internet connection extremely hard to trace. Kill Switch; If you’re internet gets disconnected along with your VPN, the kill switch makes sure that your safety is NEVER compromised. Tor Support; Even slower, but by enabling “The Onion Router” (Tor) feature, you can easily connect with one of the most safe ways on the planet. CyberSec; Block ads and malware for safe browsing. And unlike other similar tools, your browsing information stays secure. DNS leak protection; You will be automatically checked for any and all possible leaks that could compromise your internet connection. And the list of features goes on, and on…! Luckily most VPNs accept bitcoin and other secure currencies for payments. But still there are those who might ask for your name and address. With NordVPN all you need is one email address — get a secure, anonymous email from ProtonMail. For example, TorGuard VPN which is meant for secure torrent use asks for detailed contact information from their users. Never, give your real name to a VPN. Last but not least, it’s vitally important that the VPN provider is managing their own server infrastructure. In this way NordVPN, has designed an optimal emergency measure response capability, and safe server environment. With the abundant popularity of VPNs, many have set up business by using easier Virtual Private Servers (VPS), which is not in the interest of secure-minded VPN users. Sharing control with the server providers is not safe. And those are the essentials for a safe VPN service. If the provider you are currently looking at, meets these four requirements then most likely you can use the internet safely with confidence. If not — look at NordVPN for a solution. They have 2617 servers, in 56 countries and counting with feature rich service, affordable pricing and professional support. It’s hard to go wrong with them and their success in the VPN competition is obvious indeed. Any questions about VPN provider safety? Comments below, please! Or what do you consider the safest VPN service? Thanks. For your information, some of the links within this and other posts on the blog contain affiliate links which support my blogging habit. Huge thanks and not to worry, there’s no more cost to you and it’s even voluntary. Sincerely, David. I personally consider surfshark a safe option. Their jurisdiction is British Virgin Islands just like Express vpn, and also it’s a relatively new provider so I think it’s not being targeted by any hackers either. It’s quite expensive so I trust it more than a free or cheap vpn which I’m quite sure have to sell your data to earn money. If anyone wants to give it a try I’ve used this coupon for a deal on a 2yr sub.